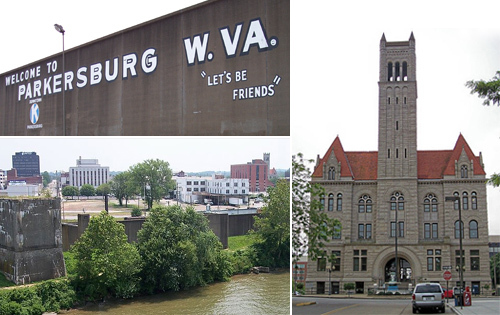 The City of Parkersburg, West Virginia was renamed the Town of Parkersburg in 1810, and later rechartered as a city in 1860. It is the county seat of Wood County and is situated at the confluence of the Ohio and Little Kanawha rivers. Parkersburg’s weather ranges from very cold and snowy winters to hot and humid summers, known as a humid continental climate. The city finds itself in zone 6b of the US Plant Hardiness Zone Map as well as being in the 3rd most heavily forested state in the union. Parkersburg does not heavily regulate trees on private property. It does however, require that home and land owners maintain proper trimming and pruning of the trees adjacent to their property. Following is an excerpt from treeremovalpermit.com/west-virginia/parkersburg-ordinance-permit-arborist/ covering the Parkersburg, WV ordinance and tree removal permit regulations. Residential property owners in Parkersburg looking to improve their landscape, harvest or remove distressed trees should note that no permit is required by the City. However, knowing the proper way to handle tree removal in various situations can be tricky. Read further for how to handle emergency tree removal situations. Public Tree Blocking Road or Impeding Traffic – When a storm-damaged limb or fallen tree is encountered in the roadway or impeding traffic, the City’s Public Works Department should be contacted at (304) 424-8568 during business hours. Outside of business hours and holidays, contact the Parkersburg Police Department at (304) 424-8444, or the Parkersburg Fire Department at (304) 424-8470. In the event of physical damage, personal injury, or an after hours emergency, call 911 for Emergency Services. Tree Blocking Sidewalk or Driveway – If a fallen tree or large limb is blocking a sidewalk or driveway, the City’s Public Works Department should be contacted at (304) 424-8568. The Public Works Department will cut the portion of the tree blocking the public right of way. The portion on private property will remain for the property owner to handle. Note: Trees along side or bordering sidewalks are the responsibility of the property owner of which they are adjacent to. Tree Fallen on Private Property – If a tree or branch from an adjacent public right of way falls onto your yard or private property, and is not blocking the public right of way, the responsibility to have the tree removed is yours. Power Line or Utility Interfering Tree – Mon Power will trim back or remove interfering trees. Residents should report power outages and trees that pose a hazard to utilities and power lines to Mon Power at (888) 544-4877, or contact them online here. Public Tree Diseased, Dead or Dying – If there appears to be a dead or dying tree on city property that needs to be checked for removal, the City’s Public Works Department should be contacted at (304) 424-8568. Private Tree Fallen on Public Property – If a tree from your yard or private property falls onto public property, the City’s Public Works Department should be contacted at (304) 424-8568. Note: The City will only cut up the portion of the tree in the public right of way and set it aside for the property owner to resolve. Ultimately, the disposal of the tree in its entirety is the property owner’s responsibility. The City of Parkersburg Public Works Division can provide further clarification on the tree ordinance, permit, land development, and logging requirements. Use the below information to contact the respective city department and/or power company.